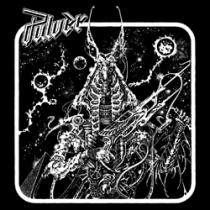 Hailing from Germany, Pulver have got a real knack for the obscene and the crazy, and it shows on this self-titled EP. Howl moves with the times, drums move in quick rhythm, the guitars are jazzy and bluesy, before moving into the rocky territory, creating the sense that there is something serious going on, the build-up to all-out rock is something that shows their true talent. Salvation is move through the ages, the dramatic build up and the growing tempo changes create a song that allows the entire band to really shine through on the stage. Twilight Magic is a sheer journey, through time and space. An epic tribute to the talents of the band, and a fitting close to this EP. Be sure to purchase it when it is released April 27th via Gates of Hell Records.